If you use a smartphone or digital camera, you’re probably familiar with SD cards. They’re the small cards that store data using flash memory. For most users, they only think about their SD card when they’re transferring contacts to a new phone or removing pictures from their camera. As Stephen Shankland reports for CNet, however, a new technique exposed by security researchers has demonstrated how vulnerable SD cards are to “man in the middle” attacks. A man in the middle attacks is true to its name. When data is transferred from one location or device to another, a third party intercepts that data in order to monitor, modify or copy it. This allows a criminal to gain access to valuable data like credit card information, or encryption keys. They could also substitute malicious files for trusted files in order to infect users with malware. The vulnerability in SD cards exists in the cards’ microcontrollers. These are like built-in computers that manage the data stored on the SD card. By reverse engineering an SD card, researchers were able to install and run new firmware on the microcontroller then installed an application that would intercept data being sent by the device. The specific attack used in the researchers’ demonstration doesn’t work for any flash-memory device because of variations in the microcontrollers, but this example exposes vulnerabilities for all devices using flash memory. This means similar attacks could be used to steal data from solid-state drives or eMMC storage for smartphones. This is yet another example of the vulnerability of mobile devices. With millions of users and a general lack of security in place, mobile devices are an inviting target for hackers and new threats are emerging all the time. 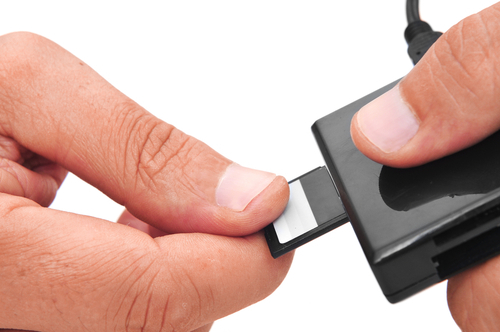 While this particular attack will need a change to the make-up of SD cards to close the vulnerability, other threats need only smarter user behavior. Remember that your mobile device faces the same risks as your PC and protecting it requires vigilance. If any of your devices have been infected with malware, bring it to Geek Rescue or give us a call at 918-369-4335. When shopping for a new computer, there are a lot of factors most users consider. The speed of the processor, the size of the hard drive and the amount of RAM included are common considerations. But, what about the specs of the monitor? A powerful computer is great, but you have to have a monitor that’s right for your uses. Whitson Gordon at LifeHacker recently published a list of things to consider when buying a new computer monitor. The key here is that no monitor is perfect for everyone, but you can find one that’s perfect for you by considering how you’ll be using it most. For many consumers, the size of their computer monitor is like the size of their television, bigger is better. But, in reality, there is a point when it becomes too big. 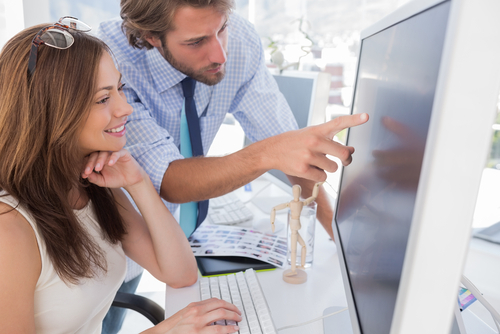 Consider where your monitor will be and what type of work space you have. Don’t get a monitor too big for the space or you’ll find yourself using it uncomfortably. If you prefer to use more than one monitor at a time, that should weigh on the size of each also. Bigger monitors also demand a higher resolution or you’ll lose image clarity. For example, a 23-inch monitor with a 1080p display looks great, but the same resolution on a 27-inch monitor is noticeably less sharp. The panel technology your monitor uses is also important to consider. Most LCD monitors will feature twisted nematic panels, or TN panels. They’re cheap and standard and offer some great specs. The refresh rate is high so you’ll enjoy a great experience when gaming or streaming video. The biggest complaint against TN panels is that they don’t offer the most accurate colors and are distorted at certain viewing angles. Vertical Alignment, or VA panels offer the truest blacks and more accurate colors than TN panels, but still suffer from distortion at some angles. In-plane switching panels are the top of the line option. For still images, they’re easily the best choice with accurate colors and wide viewing angles. But, they have a relatively low refresh rate so they’re not for everyone. This seems like a minor concern until you sit down at your computer in the middle of the afternoon and can’t see what you’re doing. Anti-glare coating reduces glare from light coming from behind you, but it also decreases the quality of the image on your monitor. It becomes a little more dull and fuzzy due to the coating. If you’re planning to keep your monitor away from windows where glare isn’t a issue, you don’t need anti-glare coating. But, in other settings it’s a must and a slightly diminished display just comes with the territory. The stand that comes with your monitor is another often overlooked feature. A poor quality stand, however, could keep you from adjusting your monitor to a comfortable position. Again, it’s important to think about how you’ll be using your computer. Some stands can only swivel vertically, while others also swivel from side to side. Some even allow you to flip your monitor into portrait mode. Don’t pay for features you won’t use, but be sure to get what you need. There are plenty more features one could consider before buying a monitor, but by researching these four, you’ll have a good start on finding the best monitor for you. If you have an existing monitor that just needs some work, bring it to Geek Rescue or call us at 918-369-4335. We fix all types of hardware problems. There are millions of Android users worldwide, but there are also plenty of annoyances that come with using an Android phone. Eric Ravenscraft at LifeHacker listed some of the most frustrating Android features and how to fix them. Your smartphone’s battery dying in the middle of the day isn’t a problem limited to Android users, but it may be the one most complained about. As your phone gets older, the battery life tends to get worse. The obvious solution would be to buy a new smartphone. There are a number of newer options with either larger batteries or more efficient software that extends battery life. Not everyone wants to replace their phone just to get a longer lasting battery, however. And you don’t have to. You could also buy another battery instead. Either a second battery that you keep charged, or a larger capacity battery to replace your existing one. If you’d rather not spend any money, look at removing apps that cause the most drain, or download apps that help you control app’s battery usage. You can also disable bluetooth, GPS and WiFi capabilities when you’re not using them. The apps and features that manufacturer’s load onto phones before you buy them are rarely useful. They’re referred to as bloatware or crapware by most and usually do nothing but take up space and resources. Unfortunately, you can’t always delete these apps, but you can disable them. Go to the app’s settings and you’ll find a ‘Disable’ button that will keep that app from taking up battery or updating. It will still take up storage space, however. So many apps are using notifications now that it’s hard to keep up with all of them. If you’re tired of wading through social media, game and email notifications, check for a ‘Notifications’ setting on each app. It may be in the app itself or in the Android app settings. Turning off notifications also reduces battery drain. If you can’t stop the notifications through a settings menu, there’s another way for Android 4.1 and newer users. In your ‘app manager’, uncheck the ‘show notifications’ option and you’re done. 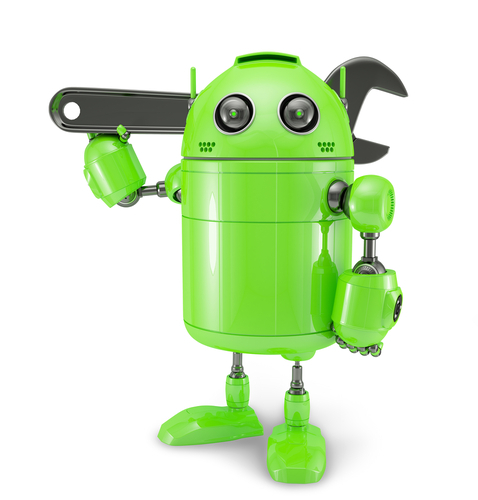 Fixing these annoyances will improve your experience with your Android smartphone. If you have more serious issues, like broken hardware or a malware infection, bring your device to Geek Rescue or call us at 918-369-4335. Microsoft Security Essentials, which goes by the name Windows Defender for Windows 8 users, is built into the Windows operating system. It’s designed to give users protection from malware and other security threats, just as any antivirus or anti-malware application would. As Barry Collins reports for PC Pro, however, Security Essentials doesn’t provide adequate protection when compared to other antivirus options. Security company Dennis Technology Labs tested nine security programs meant for use on personal computers on a machine running Windows 7. 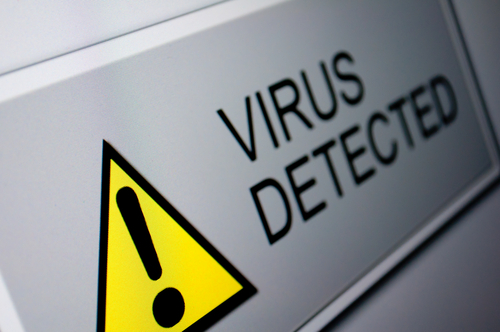 Eight of those tested detected and protected against at least 87-percent the malware samples used. 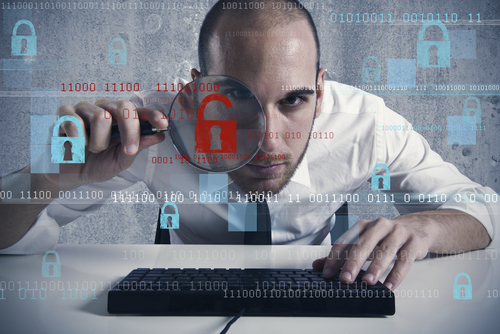 Five security programs detected 98 to 99 percent of malware. Security Essentials protected against only 61-percent of malware threats. These tests tell users that the free, built in option of Security Essentials can’t be relied on to keep your system safe from threats. According to Microsoft, it was never meant to be used as the sole security in place. Instead, it is meant to act in conjunction with other tools. With only 61-percent of malware detected, however, it seems unlikely that Security Essentials would be much help at all in assisting a more robust antivirus program. Microsoft’s reasoning for not making Security Essentials a better security tool is sound. If every Windows user were able to use a free antivirus program that comes with their operating system, then all of them would likely use it and nothing else. That would eliminate diversity in the market, which would make it much easier for hackers to develop malware to specifically infiltrate systems running Security Essentials. With Security Essentials being viewed as an inferior tool, or at best a good assistant, users must decide on their own what third part antivirus program to put in place. Each of these has its own strengths and weaknesses and makes it more difficult to create malware that is capable of staying undetected for all users. Though the thinking may be sound, Microsoft needs to do a better job alerting users about the nature of Security Essentials. Too many computers are using it as their primary antivirus protection, which leaves them incredibly vulnerable to attack. If you have no other security tools in place on your PC, look into trusted names like Norton and Kaspersky immediately. If your computer has been infected by malware, bring it to Geek Rescue or give us a call at 918-369-4335. The update for Windows 8 has been available for about three months. Some of the new features are obvious, like the re-inclusion of the ‘Start’ button. But, as Ciprian Rusen of LifeHacker writes, there are a few interesting features that aren’t so evident. Not all of these are changes for the better, but all affect the way you’ll use Windows 8.1. One of the biggest advances within Windows 8.1 is the ability to block the data apps from the Windows Store have access to. You can prevent apps from accessing your name and location. You can also turn off the advertising ID so you don’t get personalized ads using your information. Best of all, you can limit what apps have access to your microphone and webcam. A virtual private network, or VPN, is a powerful tool for keeping your data safe when surfing the web. It’s particularly useful when you’d otherwise be on an unsecured connection like public WiFi. 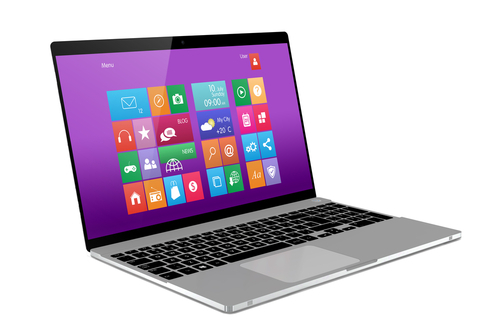 Windows 8.1 offers better support for VPNs than any previous version of the operating system. There are a number of new customization options when setting up your VPN and even included support for certain providers. Windows will even prompt you to sign into your VPN when an app attempts to access information best accessed over a secure connection. Part of the updates included with the jump to Windows 8.1 was an update to Internet Explorer that introduces Reading Mode. Load any page with IE 11 and you’ll have a Reading Mode icon in the address bar. Using it will reload the page without distracting elements like ads to allow you to easily read the content you came for. In Windows 8, users could right click on a Network and access customization options for that network connection or even use the ‘Forget Network’ option to remove the connection for the list. In Windows 8.1, this capability has been removed. Customization options for network connections haven’t been removed, they’re just more difficult to access. SkyDrive and Windows 8.1 have already had their problems, as reported by many users. A planned change with this update was to make SkyDrive documents only available with an internet connection. Files aren’t fully downloaded to your hard drive, so you’re only able to access them from the cloud with an active internet connection. A new column in the SkyDrive folder, called ‘Availability’, tells you if a file is ‘Available offline’ or ‘Online only’. This change is intended to help tablet users and those with very little available hard drive space. For those with more available space that want to avoid this irritation, changing the default to allow all files to be accessible while offline is easy to do through the ‘Settings’ menu. Whether you’re running the latest version of Windows on a new PC or using an older computer, Geek Rescue has you covered for repairs. Whatever the problem you’re having is, call us at 918-369-4335 and we’ll fix it. If you’re on the ball this holiday season, you’ve probably already completed your online holiday shopping. For those who like to wait until the last minute, there’s still time with expedited shipping to find the perfect gift online. When you do shop online, it’s important to know how to stay protected to avoid scams, malware and identity theft. A post on the 2-Spyware blog details some of the threats to your security and what you’ll need to avoid them when shopping online. Before you start surfing the web, check to make sure your antivirus program is up to date. 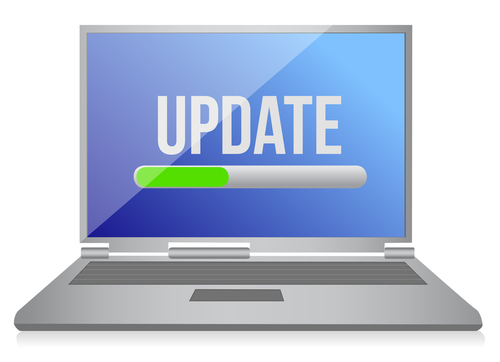 You need to update your antivirus often because new malware is introduced every day and updating helps your antivirus identify and protect you from those latest threats. 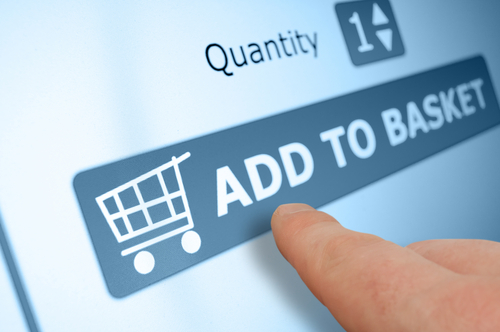 When shopping online, you’re more likely to visit sites you are unfamiliar with while searching for a deal. That makes it more likely you’ll visit a malicious site that’s designed to infect your computer with malware. Ecommerce sites also naturally experience more traffic during the holiday shopping season, which makes them more attractive targets for hackers than other times. This means that even trusted sites may be compromised. If you’re shopping at sites you haven’t used before, you’ll probably be asked to create an account. It’s important to use a strong password that is long and uses upper and lower case letters, numbers and symbols so it’s difficult to hack. It’s also important not to use the same password for each account you create. Some of these sites may have less security than others, which means if their passwords are stolen and you use identical passwords for multiple sites, a hacker could gain access to all of your accounts. Where you do your holiday shopping is also important. 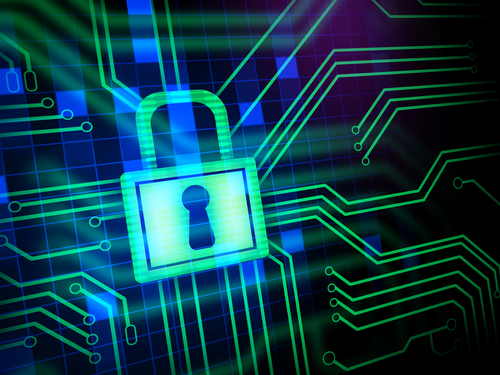 If shopping from home, make sure your network is secured and you’re using a firewall. Shopping while out and about it tempting, but it isn’t recommended. Public WiFi doesn’t offer any type of security. So, anytime you enter your account log-in and credit card information, that data can be monitored and stolen by a third party. There are major sites like Amazon that you can trust to keep your payment information secure, but holiday shopping can sometimes lead you to untrusted sites in search of a deal. Some of these sites are completely legitimate, but don’t do enough to keep your information from being stolen. Other sites are scams claiming to sell popular items, but in reality they’re designed to steal your credit card information or infect your computer with malware. Online shopping is convenient and a great way to quickly finish buying gifts, but it can also lead to costly cyber attacks. For help improving the security on your computer or network, call Geek Rescue at 918-369-4355.